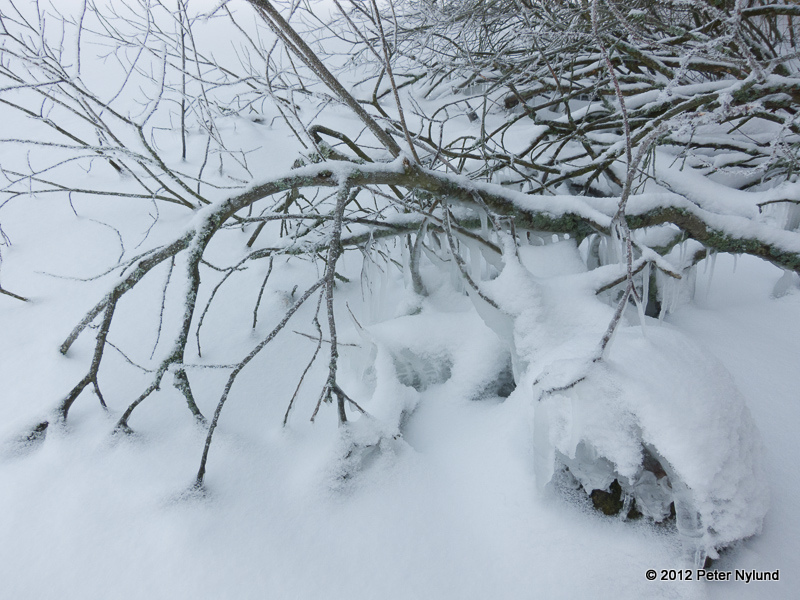 I'm repeating myself, but this is the last "winter is here" post until I have something more to write about, I promise. The winter just makes me so childishly happy after the rainy and depressing fall. The winter started here the last days of November, though we had a few days with very cold weather and snow in October as well. 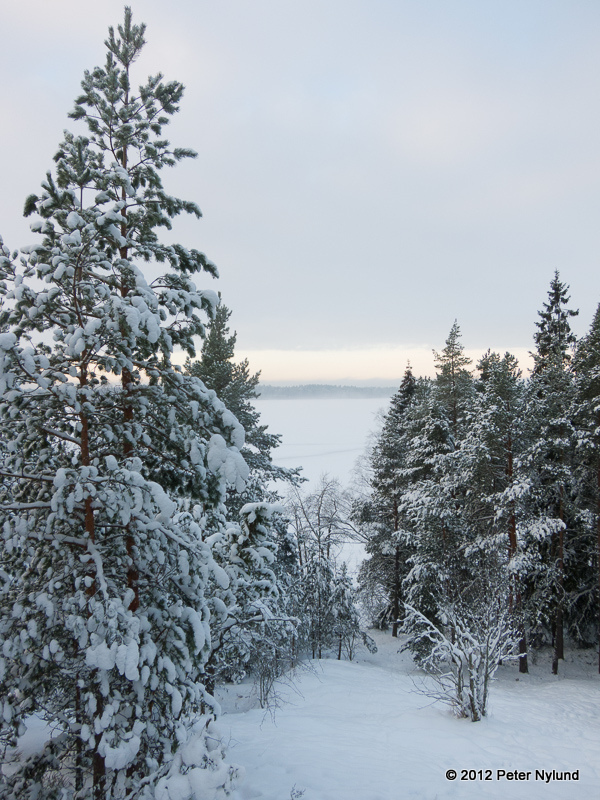 The ski tracks are also in good shape, and if not for a slight injury in my left hand, I would certainly have gone skiing as well. 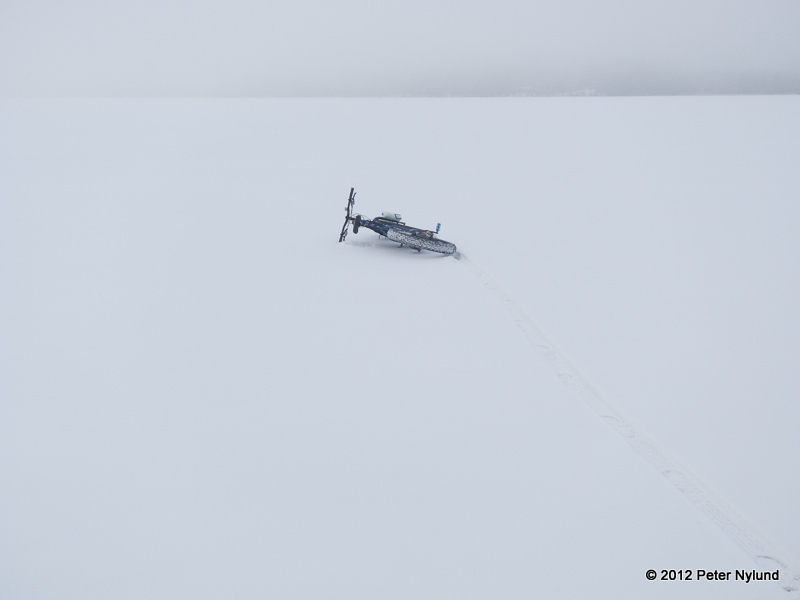 I only have a five minute walk to a groomed xc ski track, and skiing is excellent high-intensity aerobic training. The nearby lake also now also have ice on it and based on the number of people out skiing and fishing on it, the ice seems to be strong enough for riding a bike. 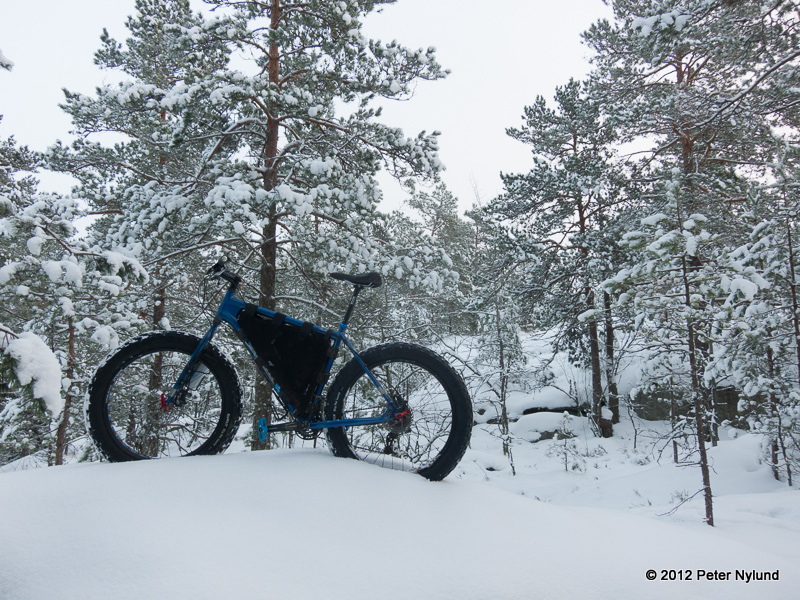 The amount of snow is still pretty small, about 15 cm in open places, and for the most part the trails are pretty hard from people walking on them, so an ordinary mountain bike is currently generally sufficient. 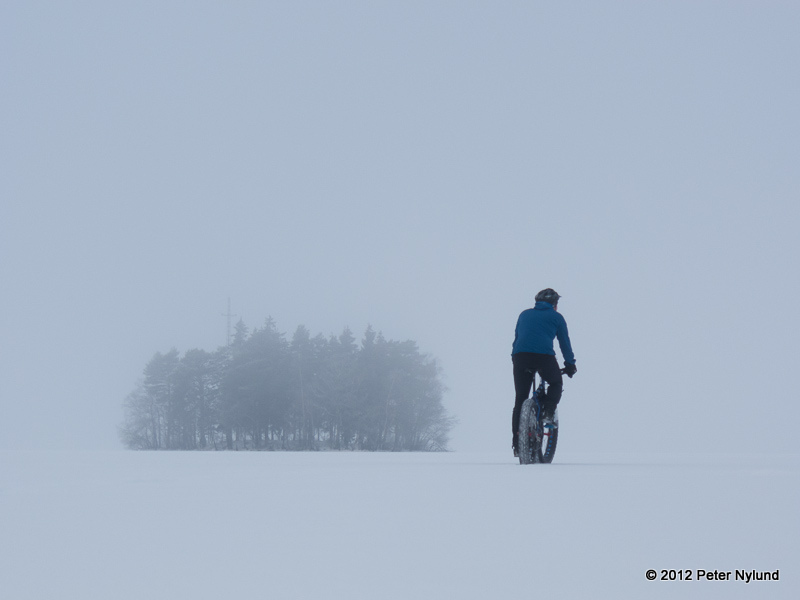 Still, there are places which would be unrideable with a normal bike but easy to ride with a fatbike. 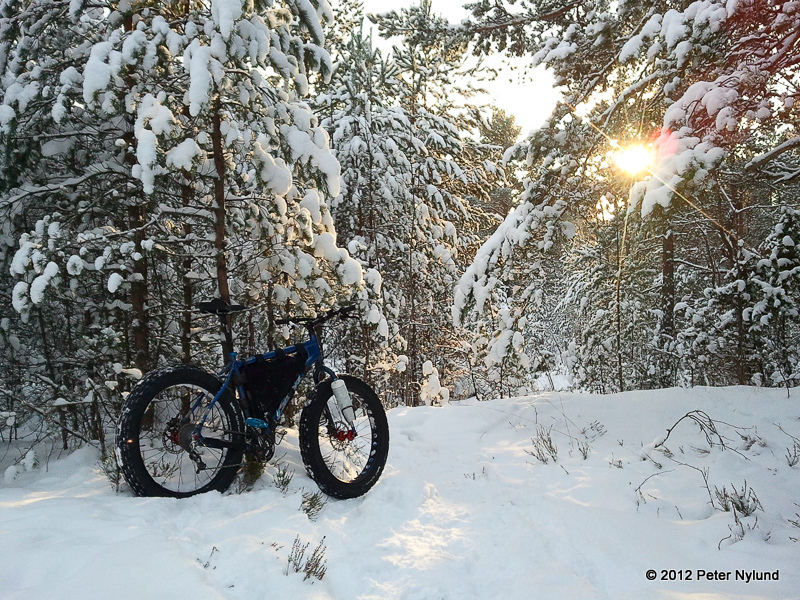 I haven't yet encountered anything really tricky, though, so I cannot yet compare the performance of the Mukluk in difficult snow conditions with that of the Pugsley. 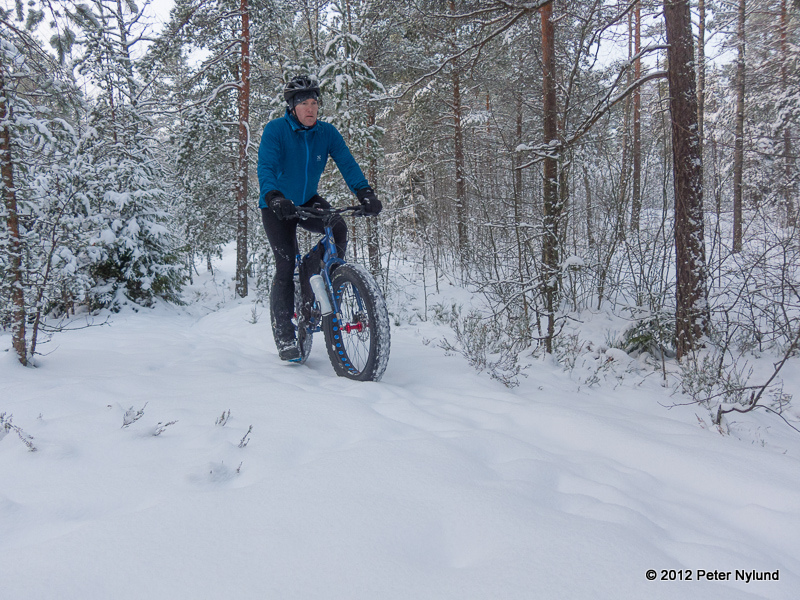 According to everything I've read, the Mukluk should be noticeable better in conditions where the twitchy steering of the Pugsley takes more effort, but that remains to be seen.